“When I was driving, Phoenix was the track where we reached the highest G-loads,” recalls Indy car legend Rick Mears. “We were pulling 5G there – foot flat to the floor through Turns 3 and 4 and almost flat through 1. It was a case of hold your breath, roll it in and hope it sticks. 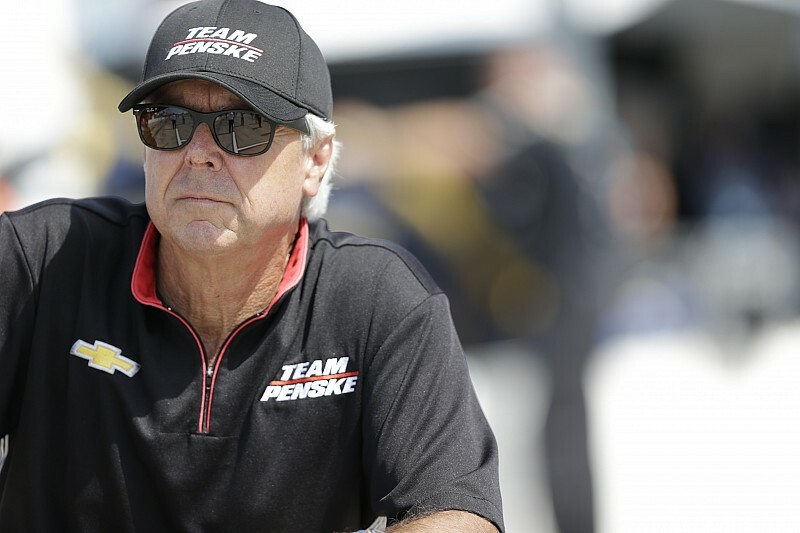 The phone call to four-time Indy 500 winner and three-time Indy car champ Rick Mears was going to be an interview about Phoenix International Raceway and the specific challenges of the charismatic one-mile tri-oval. 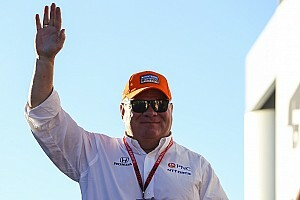 The prospect of IndyCar’s 2016 return to Arizona's photogenic jewel of a track has been universally welcomed and there are few more qualified to reveal the intricacies of the track than Rick. But swiftly our conversation evolved into a big-picture discussion about ovals in general, and how the IndyCar competitions department must radically carve into downforce levels. Crucially, too, Mears states that these tech gurus must stand strong against those who attempt to browbeat them into returning to 2015 levels. I struggle to recall if I’ve ever disagreed with Mears on any issue; on this one, I know I couldn’t agree with him more. He expresses his views lucidly and from a position of great authority, since not only is he one of the sport’s greats, his advisory role for Team Penske means he’s very much au fait with the current car formula. Mears’ message is clear: cut the downforce and you reduce the risks, improve the racing and ensure the oval races are a genuine reflection of driver and team talent. And he has logic to back up his argument. “Aero will define the nature of the racing – it’s all about aero,” Mears comments when asked how the current cars will perform at Phoenix. “IndyCar have, little by little, come to the realization that lifting off the throttle is what we need, so I’m hoping they start off with too little downforce. It’s easier to add than take away, so they need to not be afraid to take too much off initially, and then listen to the drivers. "It’s the same principle as, How do I make you OK with paying $4-per-gallon of gas? I charge you $8 for a while. Then you’re happy with $4. Start off with too little downforce and then add some. They'll cope, and then the downforce cut won't seem so drastic. "Packing everyone together by making the cars too easy to drive is actually removing the racing from some tracks"
“The thing is, so far we’ve only nibbled at the problem and that means that it only takes one factor to change slightly – like the cooler-than-expected temperatures at Fontana this year – for the whole grip balance to tip the wrong way and we’re back to cars running too close for too long. “The racing at Fontana and Pocono… well, it was exciting seeing them go four or five wide or more, but it didn't show one driver's skill over another. It comes down to how much do you want to roll the dice, how much do you want to take the crazy chance." 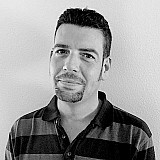 Some have argued that for the sake of the show, the difference between the best and worst needs to be compressed but as a purist, Mears dismisses that notion. "Packing everyone together by making the cars too easy to drive is actually removing the racing from some tracks. At Pocono, it was a case of, ‘I don’t want to lead, I’d rather save fuel. I’ll go crazy and try to make places on the restarts, but once the turbulent air is governing what I can and can’t do, I’d rather just hang back and save fuel until the end.’ That’s not racing and it's not a spectacle. Some, including myself, have wondered if soft, grippy but rapidly-degrading tires – or rock-hard but relatively gripless tires – would help emphasize the driving skill required on IndyCar’s ovals and allow the drivers to keep their current downforce levels. Drivers with less feel for the car's dynamics would rapidly run out of in-cockpit tools to help mask their deficiencies and would have to pit several laps earlier than their more skilled rivals. In other words, the meritocracy could be maintained by extreme tires. But Mears dismisses that as a band-aid – and not an effective one – for a far more fundamental problem. “No – that’s part of the equation, but it’s not the main part,” he replies. “It can’t be done purely by tires, because once the drivers are having to pedal a bit because their tires have gone off or because the tires didn’t give much grip in the first place, that means the air turbulence has an even bigger effect. These wings and flaps that are creating the downforce also create so much dirty air behind that when you follow a car closely, you need that mechanical grip and tire grip, or you’re not going to get near enough in the corners to make a pass. You’d kill the racing. "I’m tired of being nice about it. The fact is, grip created by aerodynamic downforce is our enemy… At the moment, the downforce is so great that it masks the handling and hurts the racing"
The man knows whereof he speaks. When ground effect was banned in Indy car racing for the 1983 season, Penske went testing with the PC10 in which Mears had dominated the ’82 season. Without its skirts, the car was suddenly an irascible animal, in dire need of refinement at each end. Yet while it had been sucked onto the track by aero downforce the previous season, even two or three degrees of toe-in or toe-out had made precious little difference to its handling. In other words, because its aero package worked, the car worked, and Mears’ vast reserves of delicacy, feel and mechanical understanding were rarely called upon during his third championship season. IndyCar's ongoing battle against excess downforce is shared by many series, as Mears observes. “All forms of motorsport are fighting aero-dependency except bikes. And guess what? MotoGP has great racing. It doesn’t matter how close one rider is to the bike in front – he’s not losing downforce in turns, so he can get onto the straight right on his rival’s rear wheel, and then draft past. 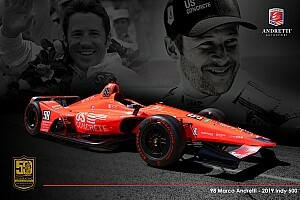 “In IndyCar, there’s so much drag on these cars, and the corner speeds are so near terminal speed, that once you pull out of the draft of the car in front, it’s like hitting a wall. Suddenly you’re down to the same speed as the guy you’re trying to go around – you pull alongside, but because of drag, the low horsepower and the fact that you’re hitting terminal velocity already, you don’t have the momentum to complete the pass. "On too many ovals, the downforce is pinning the cars down so they come off the turns just a few miles-an-hour from their terminal speed on the straights… That’s all wrong"
“It’s all there in the figures, in the data. On too many ovals, the downforce is pinning the cars down so they come off the turns just a few miles-an-hour from their terminal speed on the straights. So on an oval where the average speed is 175mph, they're probably barely going more than 180 at any point on the lap, and that’s all wrong. “Don’t get me wrong, it’s a difficult decision to radically cut back on downforce, but I’ve said it before and I’ll say it again: the series needs to have faith in its drivers to cope, and the drivers need to have faith in themselves that they can adapt. Like I say, everyone’s dealing with basically the same building blocks, so drivers and teams will figure it out. It’s important to understand that throughout this interview, Rick Mears has maintained his customary poise. The Wichita, Kansas-born/Bakersfield, California-raised legend is renowned for his pleasant demeanor and that shy affability that charms fans as well as media grubs. But there are hints of both outrage and exasperation in his voice as he discusses the hypocritical and groundless arguments presented by drivers who lack faith in their own skills. “What I think is wrong is people who try to argue that the cars being too much of a handful is a safety issue,” says Mears. “It’s not; it’s up to a driver to adapt and drive to the limit of what he’s given. When I was racing, if someone had told me that everyone had to run on three wheels instead of four, fine – it’s then up to me to try and make sure that I’m the fastest guy on three wheels. But some of the drivers roll out this 'safety' word, and suddenly it ties everybody's hands. “But you know, those arguments make no sense anyway. Remove downforce and you actually improve safety. The more the car is stuck to the track, the more lateral load it creates, the less progressive it is to control; the harder you lean on it, the quicker it goes away when it finally snaps. Reduce that lateral load so it’s up to the driver to use his feel and judgment to gauge where the limit is, and you put it back into his hands and at a slower speed. "Some of the drivers roll out this 'safety' word, and suddenly it ties everybody's hands. But those arguments make no sense anyway. Remove downforce and you actually improve safety"
“Reduce the corner speed by reducing downforce, and suddenly you have a car that’s quicker in a straight line and slower in the corner, and so it demands more skill to drive because you have a bigger differential between terminal speed and corner speed. You as a driver decide when or if you need to change down a gear, and when you need to get back on the throttle. "And like I say, by reducing that lateral load, the car will have more feel so the driver has a chance to catch it, so there’ll be fewer accidents anyway. It wouldn’t be like the string suddenly breaking and the car shooting up the track into the wall. Fewer accidents, fewer broken bits flying around." “Less downforce also alters the line you take to the corner, and therefore the angle you’re going to spin,” observes Mears. “If you’re going from up near the wall on the straight, but diving down to the apex to take the fastest line, you’re at a shallow angle. And at the critical point when it’s likely to let go – as you’re picking up the throttle – you are furthest away from the fence. That means you have the whole track width to either save it or, if you lose it, brake and scrub off speed. Would IndyCar insisting on the low and slender superspeedway wings rather than road course wings help improve the racing on the smaller ovals? “Heck yes!” declares Mears immediately. “We did some filming for a Pennzoil commercial at Phoenix in the mid-’80s, and we had to run the car in superspeedway trim. Well, after the ad footage was in the can, I told the team I wanted to go run some laps at speed and find out what it feels like. And I’ll be damned: I had to use the brakes, like I had with the flat-bottomed car I’d run there in ’78! I genuinely had to drag the brake into Turns 1 and 3. 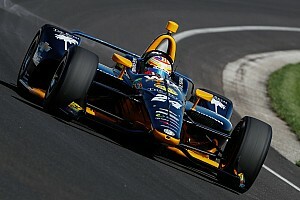 Yes, OK, it felt terrible for the first five or ten laps because it wasn’t what I was used to, but then I got comfortable with it and I thought, ‘Hey, I’m really driving the car; I’m having a lot more input.’"
"Slow the corner speeds and it’s like making the SAFER barriers even softer and making the cars stronger – and for almost no expenditure"
Just as he spurns the argument that tricky-handling cars are a safety hazard, so Mears points out that passive safety measures are improved with a downforce reduction… and for precious little outlay. “Slow the corner speed and it’s like making the SAFER barriers even softer and making the cars stronger – and for almost no expenditure,” he points out with disarming clarity. “That’s your safety improved by a major percentage without doing anything except modify the cars, and making them better to race. And it’s so cost-effective too, because you already have the necessary parts. It's not an additional expense. Mears is way too smart and way too content with his life as consultant for Team Penske and driver coach for Indy Lights drivers to ever take the job of IndyCar’s president of competition. But whoever does get that role would be advised to have the Rocket on speed dial. Unlike most opinions he'll hear, Rick’s have been formed not by self interest but by experience, sound reasoning and a wish to see IndyCar stop picking at a growth that needs lancing. But will anyone be brave enough to damn the drivers’ torpedoes and hit the reset button on downforce? This appears to be one of those rare cases where going radical is also logical, economical, ethical – and in pure racing terms – desirable.